Nancy Voss is Emeritus Professor at the Rosentiel School of Marine and Atmospheric Science at the University of Miami and director of the Marine Invertebrate Museum there. Nancy first joined University of Miami as a grad student in 1951, and apart from a short career break to raise a family, she has worked or studied there all her life. Nancy has undertaken hugely valuable systematic work, studying families with global distributions and slowly accumulating sufficient specimens to find discriminating and uniting characters for difficult groups. 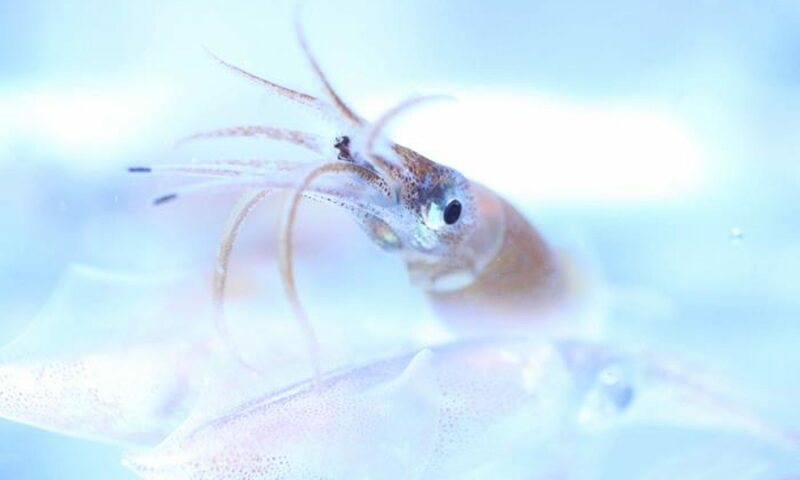 Her earliest papers are not on cephalopods but she was swiftly drawn in: her first cephalopod manuscript described new species of Histioteuthidae and laid the groundwork for an awesome monograph on the family. This volume, at more than 150 pages, described new species and subspecies, synonymized genera, redefined the genus Histioteuthis and designated neotypes. It included illustrations (by Nancy) of beaks, radulae, buccal membranes, spermatophores as well as the habitus and main feature of all the species. In true academic style, she did not step back to admire her achievements, but rather kept collecting specimens and publishing new manuscripts. She took Histioteuthis beaks to the 1981 beak workshop in Plymouth and these formed the basis of the histioteuthid chapter in Malcolm Clarke’s classic text. She obtained larval material, examined at a 1985 CIAC workshop, and this formed the basis of the histioteuthid section of the “Larval and Juvenile Cephalopods” volume. The 1988 CIAC systematics workshop brought together researchers from around the world and enabled access to unreported Atlantic collections and collections in institutes in the former USSR. Another monographic chapter resulted. This time, Nancy was also working on cranchiids, and providing similarly valuable insights into this group. The beaks she extracted formed the basis for the cranchiid chapter in Malcolm’s book; she studied larvae for the “Larval and Juvenile” volume; she produced a phylogenetic analysis of the group; tackled Teuthowenia; and wrote a chapter on cranchiid evolution for Clarke and Trueman’s Mollusca volume. Her contributions to CIAC workshops are clear from her research. But she was also a founder member, contributing to the ‘charter meetings’ at the 1981 Plymouth workshop and the 1983 Banyuls workshop, from which CIAC was borne. Nancy served as the second CIAC president from 1986-1988 and continued to serve on the council until 1991. As well as contributing chapters, she was the lead editor on the 1998 double volume in Smithsonian Contributions to Zoology. Nancy took over as director of the Rosential School Marine Invertebrate Museum in 1989 and since then has had her research time squeezed tremendously. Nevertheless, she has lent her vast knowledge and experience of systematics to another difficult group, the cirrates, through the Aberdeen 2000 workshops. I am told that she is still working on cranchiid manuscripts whenever time permits. Nancy has made a massive contribution to cephalopod research but an equally great contribution to the CIAC community. The CIAC Lifetime Achievement Award bestowed in her absence in Brazil shows how much the cephalopod community admires and respects her work.